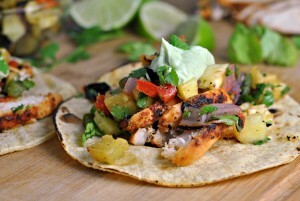 I have made it approximately 10,882 days on this earth without any restrictions to my diet. Man, that makes me sound really old, huh? But grateful, because who wants to deal with dietary restrictions? Bleck. But, add me to the list of unlucky individuals who must follow a dairy-free diet. The restriction is perhaps temporary as the restriction is in response to some *issues* Baby Shea is having. We won’t go into detail on that one (you’re welcome! ), but her pediatrician has recommended I go dairy-free, for now, so long as I continue breastfeeding and pumping. Sigh. 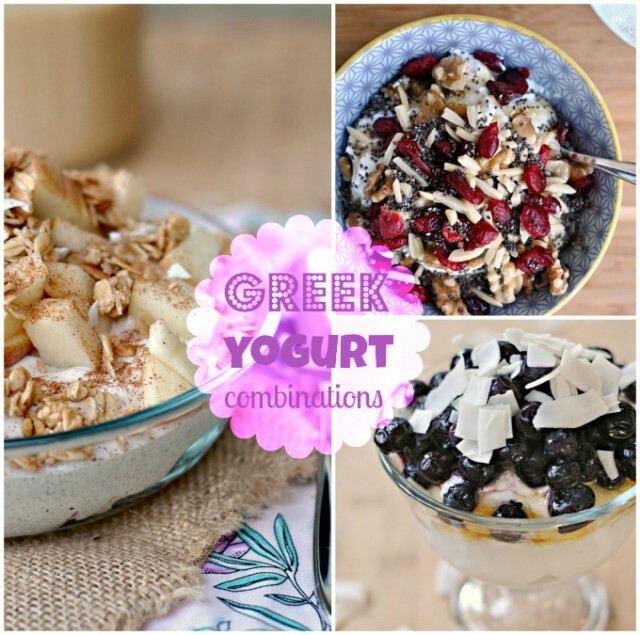 So while I was hoping to add to this “Greek Yogurt Combinations” series of ideas, it will be slightly abbreviated for the time being. Think of me and my yogurt-loving heart whenever you’re enjoying your bowl of delicious and super healthy Greek yogurt, wouldja couldja? Spoon yogurt into a bowl and drizzle with honey. 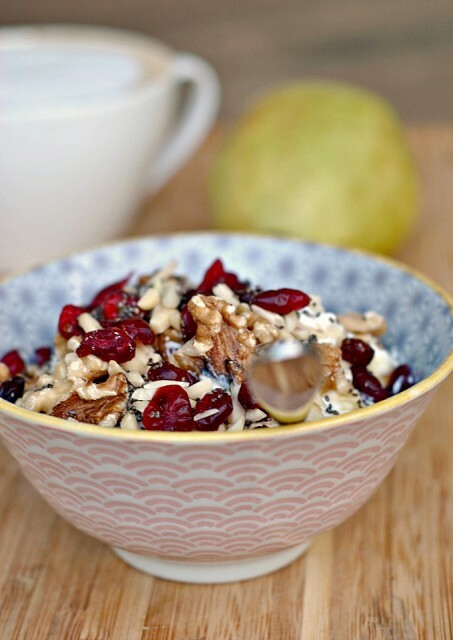 Top with nuts, cranberries, and chia seeds. 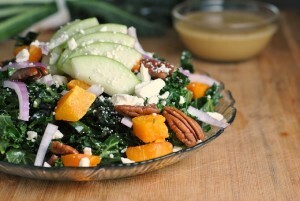 What I like about this combination is the omega 3 fatty acids from both the walnuts and chia seeds. In a serving bowl, combine the yogurt, brown sugar, and cinnamon/apple pie spice; mix well. Top the yogurt with the diced apple, granola, and an additional sprinkling of cinnamon or apple pie spice, if desired. 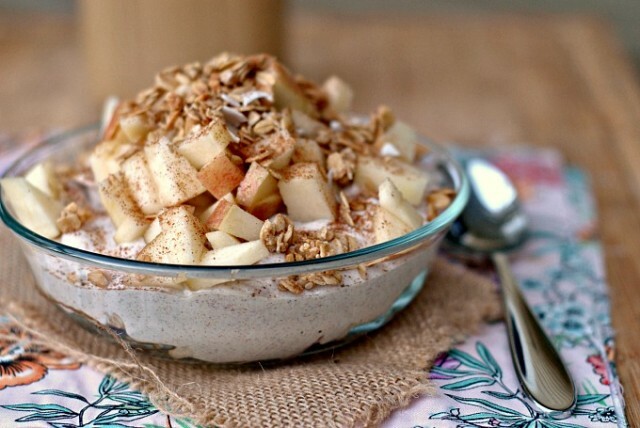 If you do decide to try nothing else of this recipe or post - mix some cinnamon in your yogurt. SO GOOD. Watch the portion of granola as it tends to be very high in calories - a little big goes a long way! Scoop the yogurt into a bowl and drizzle with honey. 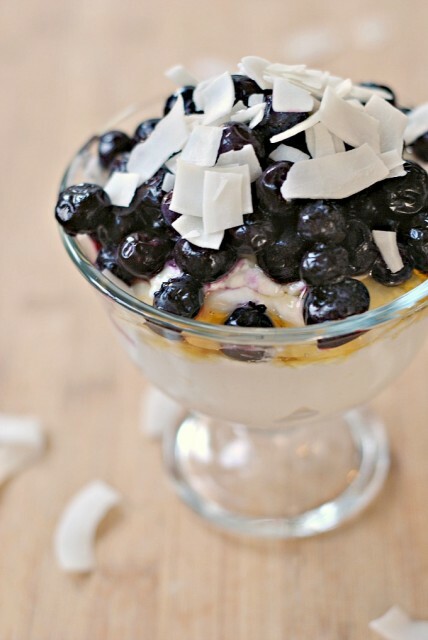 Top with blueberries and coconut chips. Coconut chips add great crunch, but similar to granola, a little bit goes a long way. Be sure to buy unsweetened coconut to omit lots of added sugar. I used frozen and thawed blueberries but fresh would be equally as wonderful, or better! Coconut + blueberry = amazing. Add honey and...mmmm! These all look delicious – thank you for sharing! These all look great but that cinnamon apple and granola one… oh yeah sign me up for that. Many people forget that Greek yogurt is a good source of protein!